Whilst the Mother City is famous for its majestic mountain and pristine beaches, there’s a whole other side to it as well. From museums to theatres and art galleries, Cape Town is teeming with a variety of options that are sure to tickle your cultural fancy. We’ve compiled a comprehensive list to help you navigate your way around Cultural Cape Town. Founded in 1994, this museum memorialises the District Six community of over 60 000 residents that was forcibly removed during the dark time that was the Apartheid era. It is housed in a 170- year-old former church and the ground floor is made up of a large map of the area on which former residents have handwritten notes to indicate where their homes once were. The stories of the residents as well as the rich history of District Six are kept alive by the extensive collection found in the museum. Guided tours of the area are also offered and are led by ex-residents. Situated in the historic Company Gardens, this museum was founded in 1825and aims to educate visitors on the changing culture and developing biological diversity that has occurred over thousands of years. There are over one million samples of scientific importance and a range of exhibitions documenting the history of the country. Visitors can see 120 000-year-old fossils, various art installations and dinosaur dioramas, as well as the famous architectural wonder that is the Linton Panel, a frame of rock art from the African Renaissance. Another highlight is the popular sound booth where one can listen to singing whales. Formerly the Malay Quarter of Cape Town, Bo-Kaap is known for its colourful houses and cobble streets. The museum’s mission is to celebrate local Islamic heritage, as well as to recognise the contribution of early Islamic settlers to South African culture in the form of tailoring, carpentry and architecture. This forms a huge part of Cape culture and the fact that the museum is housed in the oldest building in the area makes it that much more significant. It’s hard to imagine that there was a time when the sea came all the way up to what is now the heart of the City of Cape Town. The Castle of Good Hope was built by the Dutch East India Company between 1666 and 1679 as a maritime replenishment station. Today, the star fort is the oldest surviving colonial building in the country and in 1936 was declared a provincial heritage site. Visitors can explore the William Fehr Collection (paintings and antique furniture), the Castle Forge and the Military Museum, or enjoy one of the daily guided horse and carriage tours. Named after the acclaimed and Tony Award-winning South African playwright, Athol Fugard, the Fugard Theatre is located in the historic District Six area. The 335-seater theatre is a symbol of creativity and a reminder that live performance is very often the most liberating and effective way to challenge norms and change perceptions. Just as Fugard was committed to presenting the inhumanity of Apartheid through his iconic black characters and truthful representations, so too is the theatre dedicated to providing a platform on which people of all races and classes can be heard. It is a true kaleidoscope of colour and voices, and essentially local theatre at its very best. Originally opened in May 1971 and called the Nico Malan Theatre Centre, the Artscape is home to a range of performing arts, from opera to theatre, music and ballet. It is an exciting, multi-functional creative arts centre consisting of a variety of venues as well as the best costume hiring department in South Africa. A fully-equipped team comprising of set designers, painters, seamstresses and technicians is employed to make sure every aspect of the theatre centre runs smoothly and at a superior level. Over the years, the Artscape has established itself as Cape Town’s leader in the performing arts world. Set in a gorgeous, wooded park, the Maynardville Open-Air Theatre has become one of Cape Town’s most beloved theatre experiences. The unique 720-seater theatre is perhaps most famous for its annual Shakespeare-in-the-Park performances which draw large crowds without fail each year, especially school children. The theatre has always been open to multi-racial casts and audiences, even during the difficult times of discrimination in South Africa. It’s the perfect place to enjoy a picnic in the lush surrounds, before witnessing some great theatre under the stars. Built in 1976 and opened the following year, the Baxter Theatre was a beacon of hope during the Apartheid era, producing progressive work and proudly advocating multi-racial interactivity. Over the years the theatre has forged a strong relationship with the University of Cape Town and is today a vibrant entertainment venue that continues to cultivate the arts in Cape Town. Professional and ground-breaking performances across the various performing arts endeavour to reflect the always-changing culture of South Africa and convey the power of dance, drama, music and opera to their audiences. 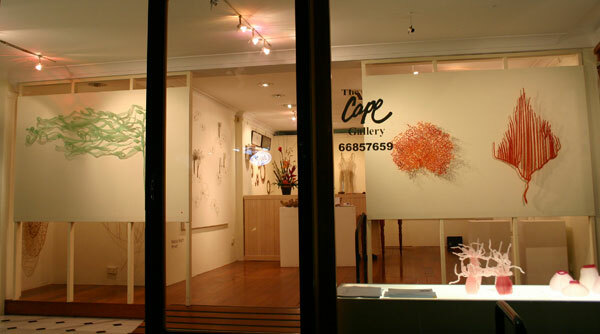 For a taste of authentic South African art, visit the Cape Gallery located in the heart of the old city in Church Street. The distinct Georgian and Dutch influences are evident in the facades built by the settlers of the 18th and 19th centuries. Every piece in the gallery embodies the essence of the African continent and showcases the raw talent of South African artists. Visitors can expect all art forms, from ceramics to paintings and sculpture and sketches. With the rise of street art, this unique approach can be seen as well, imbued, of course, with that special African flavour. Check out more popular Tourist Attractions in Cape Town with Around About Cars.